King Leonidas I is the most famous general in the history of Sparta, and perhaps the whole of Greece. Disappointingly little is known about the real Leonidas, and we have to look closely to approach the truth. So who was this great leader, and how close is he to his fictional counterpart? Leonidas was the second son of King Anaxandridas and his first wife. Because of their difficulties conceiving, Anaxandridas had been allowed to have a second wife alongside the first, and as a result had several potential heirs. First sons of Spartan kings were exempted from the agoge, the rigorous training regime all other male Spartan citizens were put through. As Leonidas was not expected to inherit the throne he was one of the few Spartan kings to receive agoge training, which included combat, tolerance of pain, stealth, communications and loyalty to Sparta. Leonidas became one of Sparta’s two kings in 490 BC, following the alleged insanity and suicide in prison of his half-brother Cleomenes. There is some doubt over what really happened to Cleomenes. His death came amid political disputes, and Leonidas was one of those responsible for having him imprisoned. Whatever the circumstances in which Leonidas took the throne, he was now king of a nation at war. The fractious city states of Greece were facing invasion from the mighty Persian Empire. In 490 BC, the same year that Leonidas inherited the throne, an alliance of Greeks drove back the Persians at the Battle of Marathon. The Spartans arrived a day too late for the battle, citing a religious festival during which they had been banned from marching to war. But the real reasons may have been Spartan politics, as they were facing peasant revolts, and some in Sparta probably hoped to see Persia crush their Athenian Greek rivals. Little is known from most of the decade during which Leonidas ruled. 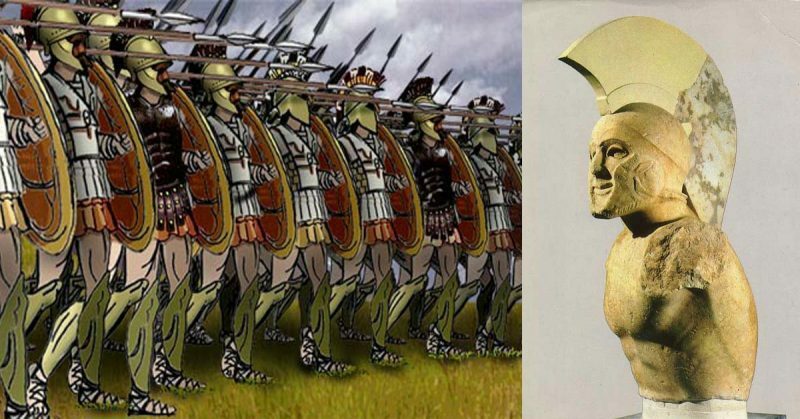 But in 481 BC the Persian ruler Xerxes put into place a plan to conquer Greece. Making diplomatic approaches to many city states, but not to Athens or Sparta, he hoped to divide and conquer the Greeks, surprising the two strongest states with his invasion. It didn’t work. Instead the Greeks became unusually united in the face of the threat. They formed an alliance to stop the Persians. The Spartans, as Greece’s foremost military power, were put in charge of the combined armed forces, with Leonidas himself leading them on land. In 480 BC the Persians invaded, taking Thessaly, one of Greece’s most important agricultural regions. With other cities surrendering to the invaders, Leonidas and the Athenians fell out over what strategy to follow. The defensive point preferred by the Spartans would have left Athens itself vulnerable, sacrificing that city for the strategic good – a very Spartan decision, but an unacceptable one to the Athenians. 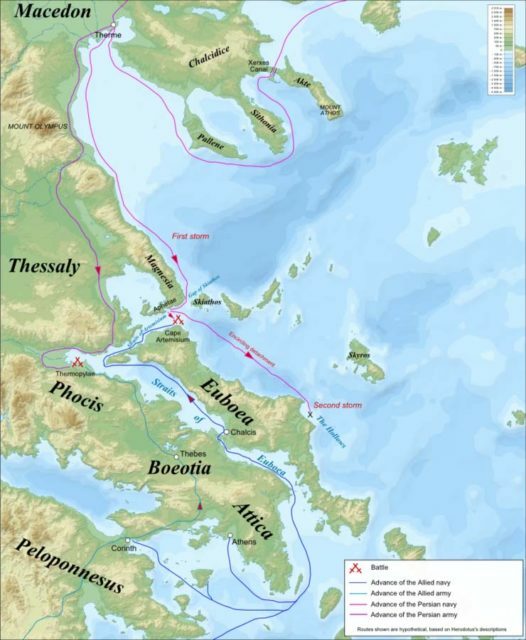 The Greeks needed to find a narrow place to defend, to counter the superior Persian numbers, and they settled on the coastal pass at Thermopylae. Leonidas would lead the army. Leonidas’s aim at Thermpylae does not seem to have been to destroy the Persian force. Instead, his aim was to hold the Persians long enough for the Athenian fleet to defeat the Persian navy. By cutting Persian supply lines, this could force Xerxes to turn back. 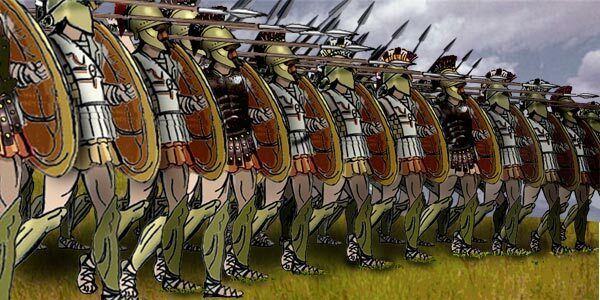 Though the Spartans famously only took 300 of their own warrior citizens to Thermopylae, they were at the head of a force 6000 strong, consisting of men from all over Greece. It is likely that Leonidas was trying to preserve the remaining Spartan forces rather than throw them all away in a grim battle likely to end in death. He even refused further forces offered by the Spartans. It is said that on leaving his wife to go to war, Leonidas spoke about his impending death. He said that if he was killed she should marry a good man and live a good life. At Thermopylae, Leonidas took up a strong defensive position. He built a wall across the western entrance to the main pass, and stationed most of his troops behind it. The elite Spartans would act as a strike force, launching counter-attacks beyond the wall, while a contingent of Phokians held a smaller mountain path on the left flank. On arriving at Thermopylae at the head of half of his vast army, Xerxes waited four days for his navy to catch up, bringing with it his remaining troops. Then he offered the Greeks the chance to surrender. Leonidas’s supposed response was that Xerxes should come and get them. There would be no surrender. For two days, Leonidas held the pass against the Persians, leading the Spartans in counter-strikes that helped to kill thousands of the invaders. But on the second night the Persians took the flanking pass. The army was about to be surrounded. At this point Leonidas either ordered or allowed most of the Greeks to withdraw. He and the Spartans, together with the Thespian, Theban and Mykenaian contingents, remained behind. It was a suicide mission, but one with two purposes. By continuing to fight in the strong defensive position, they could inflict great casualties on the enemy. And by holding up the Persian cavalry, they could allow the rest of the army to safely withdraw. They would die balancing the odds in Greece’s favour. Leonidas and his men went down fighting, and became legends. Leonidas’s death is in keeping with the brutal pragmatism of his agoge training and of Spartan diplomacy. He gave his life not for glory, but to preserve the greatest number of Greek troops and give his side the greatest possible strategic benefit. Though the records are sparse, his actions reveal a general who was brave, pragmatic, and determined. Leonidas I was the ultimate embodiment of Spartan values, and his death in battle was a fitting end.